We are living in a global village where people mingle, cultures meet and give birth to new and improved forms of art. A loud and clear statement sent out via Virgil Abloh’s Louis Vuitton men collection. 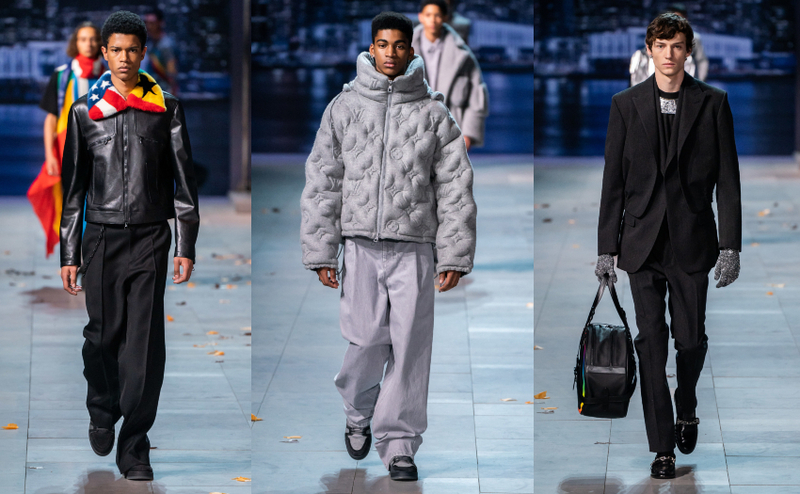 Louis Vuitton is most probably the king of the logo-mania way before the concept was even coined in pop culture, so why not celebrate it again and again for Fall/Winter 2019? Another celebration is homage to he who has defied race, gender and society with music, fashion, and by being his authentic self, Mr. Michael Jackson. And speaking of authenticity, Abloh selected models that were physically representative of diverse backgrounds (a press release later confirmed the countries each model belonged to). The out-of-the-box designer wanted to ensure that everything was constructed with the same message of tolerance, from head to toe. A new Louis Vuitton release celebrating art, music, tolerance, inclusivity and more, and that is an eye candy in every way.